The ESNCM organizes an annual month-long Arabic music festival called Layali al-Tarab fi Quds al-Arab (Nights of Tarab in Arab Jerusalem). 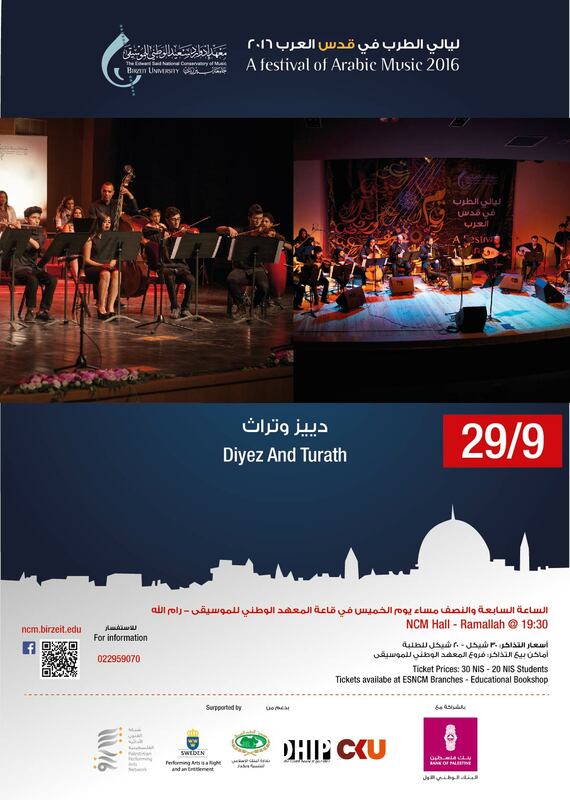 It is a celebration of Arabic music performances by professional Palestinian musicians, guest artists, and teachers and students from the ESNCM. The Layali al-Tarab festival was established in 2009 and it is main focus is on strengthening the music appreciation of Arabic and Oriental music, with particular emphasis on the Tarab genre and classical Arabic singing. 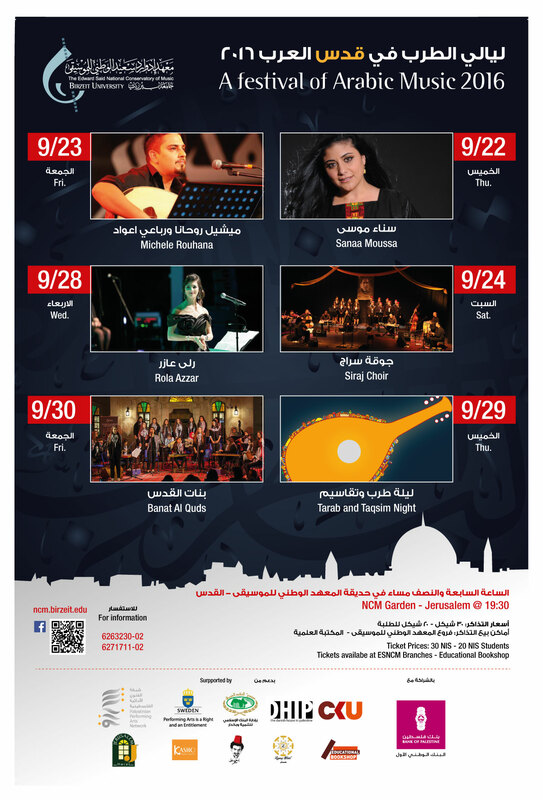 The festival centers on Jerusalem, but has also included performances around Palestine. 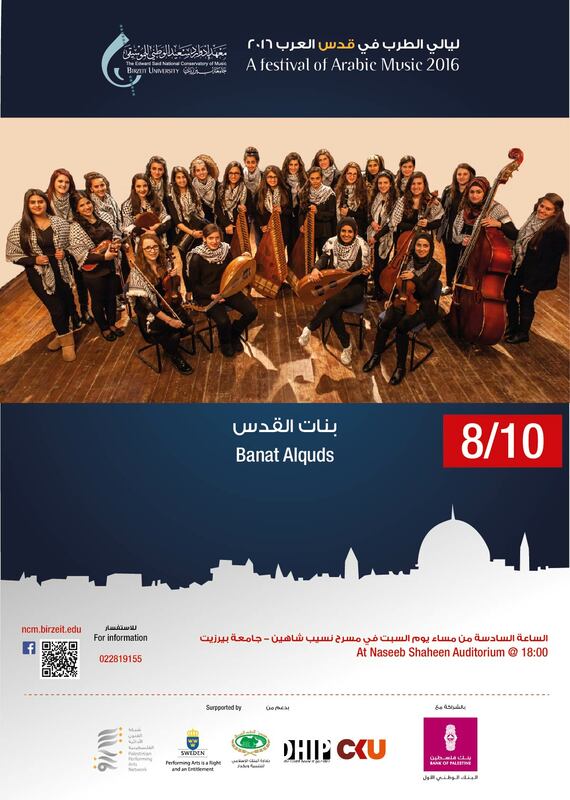 Performers have included Aicha Redouane, Dalal Abu Amneh, and Simon Shaheen with the Jerusalem Arabic Music Ensemble, as well as advanced ESNCM student ensembles such as Turath and Maqamat. Sanaa Ali Moussa was born in the upper Galilee. She grew up in a musical household, the eldest daughter of a father who was well versed in the singing traditions of Greater Syria, Egypt and Iraq. It was at home that she first became connected to Arabic classical song in general and to Palestinian folklore in particular. Sanaa's sound is characterized by its simultaneous strength and fragility, sadness and joy. She has a PhD in neuroscience from the college of medicine in Jerusalem, where her dissertation focused on spongy brain disease. Since 2010 Sanaa has been touring the Arab world from Morocco to the Gulf, as well as Europe and Latin America, performing hundreds of concerts where she represents Palestine and Palestinian heritage in some of the most important theaters and cultural platforms, to the extent that she is considered, along with her ensemble of musicians, an ambassador for Palestinian heritage in the world. 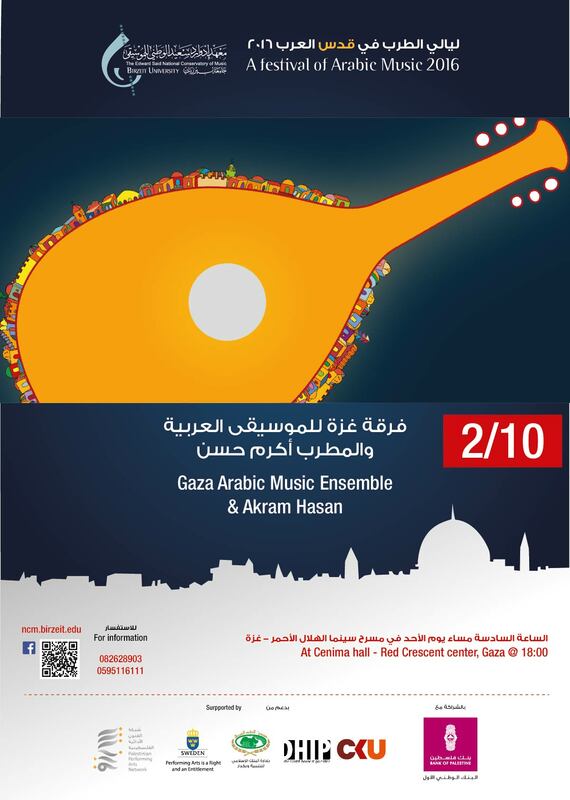 The ensemble consists of an elite group of musicians from Palestine and abroad. They will perform a selection of Palestinian folklore songs, including some exclusive songs from their new album. They will take us to different areas of the mosaic of Arab heritage of Mesopotamia, the Maghreb and the Levant.